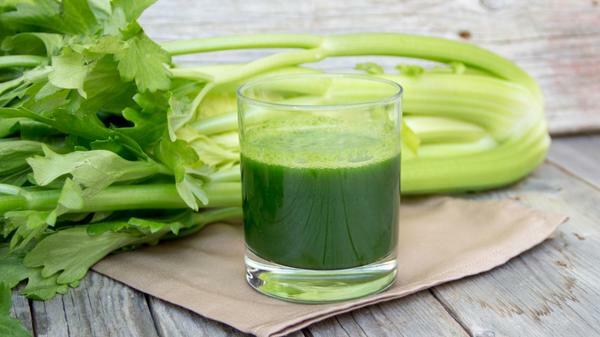 Why is Everyone Going Crazy About Celery Juice? It is celery juice, the newest wellness trend attaining buzz on social media and with celebrities and health gurus. There’s no doubt that celery is strenuous for humans to consume. It comprises many vitamins and minerals, including antioxidant vitamin C, along with magnesium, iron, calcium and more. Being a good source of fiber and other phytonutrients. Celery is truly the savior when it comes to chronic illness. Celery juice aids include the ability to reduce inflammation and cure autoimmune diseases. Celery can improve digestion by removing the "toxic sludge" in the stomach. In addition to being low in calories, celery provides fiber, vitamin K, folate, potassium, and over a dozen types of antioxidants. It also comprises natural bases that have been shown to help augment circulation and boost durability and enhance strength training when consumed pre-workout. Drinking celery juice, either made at home or store bought from companies, can give you the vitamins and minerals your body needs on a daily basis. Just don’t imagine the simple act of drinking a glass of celery juice to completely cure everything that troubles you. Well, celery is not any better or worse than other trending vegetables like kale and spinach, just packed with different nutrients and antioxidants. Benefits of Eating Amla (Gooseberry). Is There Anything Like Overdose of Vitamins? Sanju Box Office Day 11 Early Trends: 300 Crores Coming Soon! Aloe Vera Juice, WonderFood From Nature!